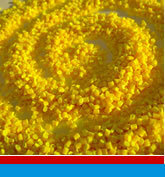 Odor-Free EEC Additives for plastics to eliminate bad odours coming from amine, hydrosulfides, aldehydes, etc. Skygreen KOR SkygreenPETG - PCTG and Skypet BR: transparent resins for Blow moulding, Extrusion and Injection moulding. 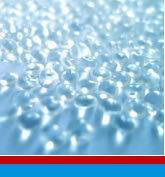 Skypel KOR Polyesters Elastomers for Extrusion, Blow moulding, Injection moulding, Impact Modifier for Technopolymers. Ecozen® KOR Bio co-polyester Eco-Frendly with excellent thermal and chemical resistance. 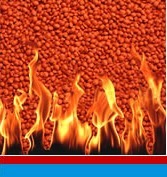 Dieblast EEC Plastics micropellets for Sand-blasting and Cryogenic deflashing products in rubber and thermosetting. Clean X EEC Compound for bleeding and cleaning machinery. Novoclean EEC Cleaning liquid agent for screw cleaning, polymer and colour change.